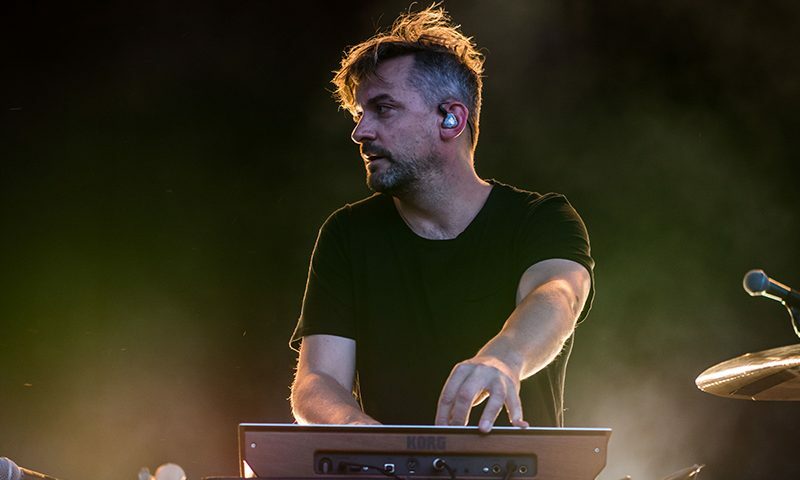 Tags: Bonobo, Mooninite, Ogden Twilight, Slow Magic, Talia Keys and the Love, Yes! 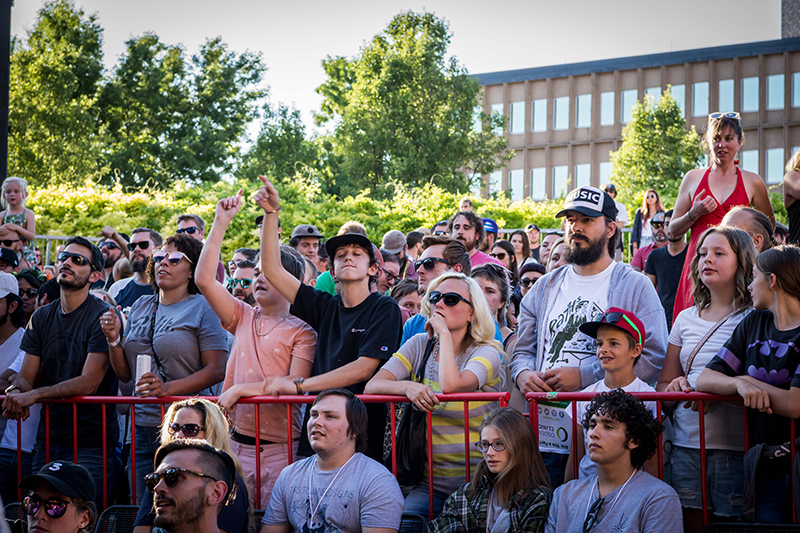 Another Thursday night brought another exciting show to Ogden Twilight. 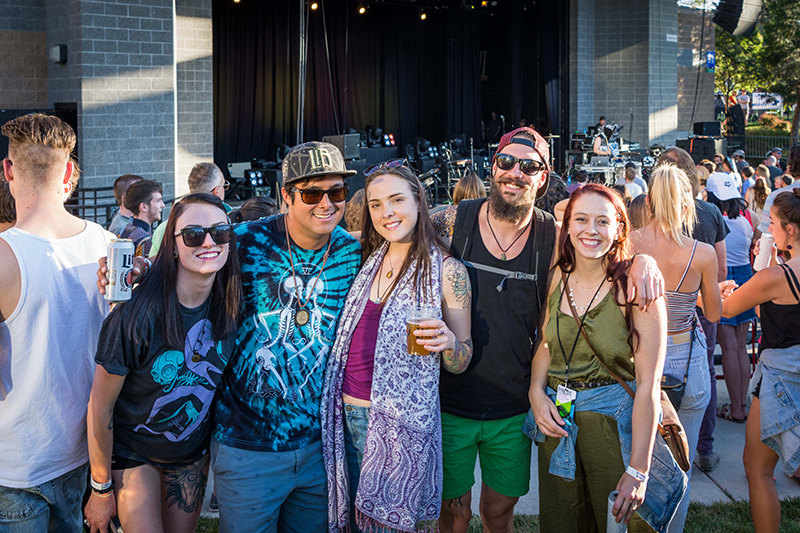 Fans from all over the state gathered at the Ogden Amphitheater to watch another set of amazing artists. Hopping on the Frontrunner at North Temple station, crowds of people joined everyday commuters on their way to Ogden. A packed train was filled with friends, laughter and good conversation. The hour-long train ride felt quick, as did the anticipation-filled jaunt over to the venue. The street on the way over had many cool bars, shops and restaurants, collectively offering something for everyone. 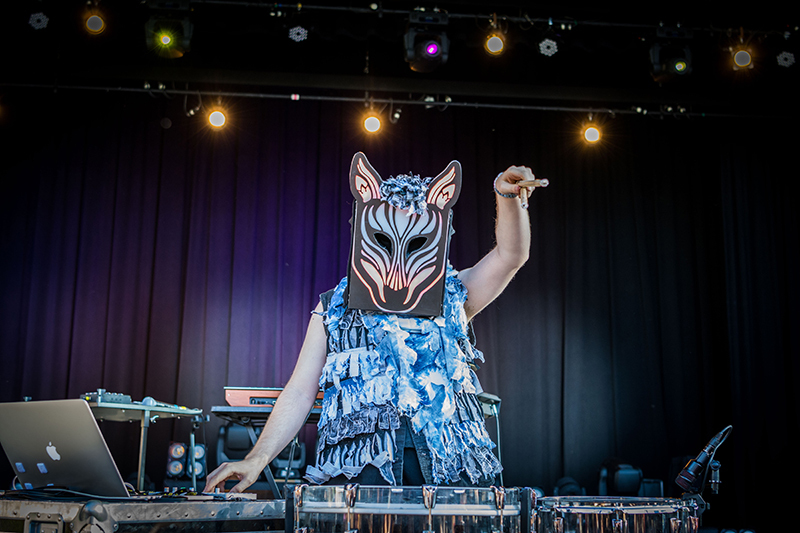 You could hear methodic drum beats from down the street as we were welcomed into the venue by the floating electronic music of Mooninite, the performing name of local artist Andrew Aguilera. 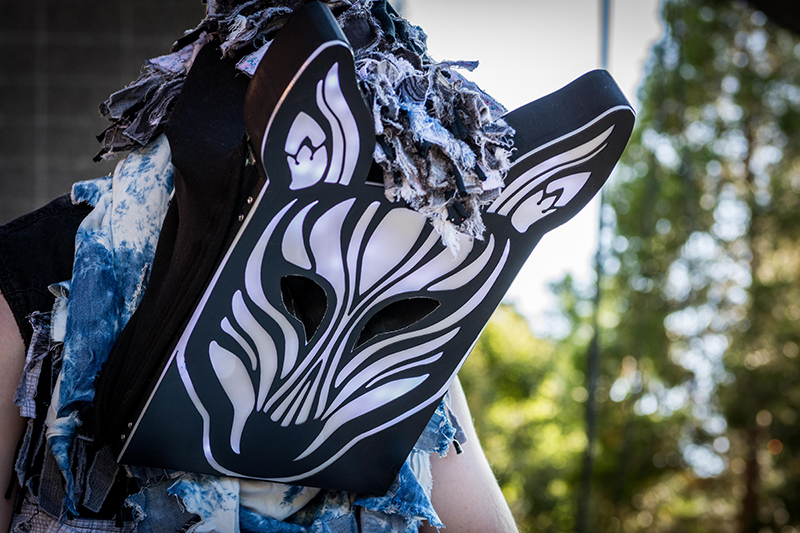 Next on was electronic hybrid act Slow Magic. 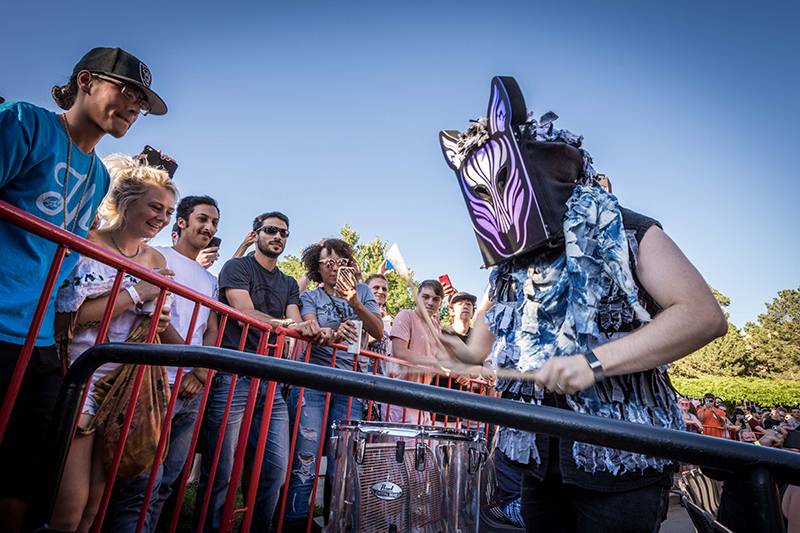 His trademark mask list up in the sun as he carried his drums through the crowd and played among his fans. Young kids sat on the front of the stage enjoying the music up close. Throughout, crowds wandered the venue, eating and drinking from the many vendors at the show. 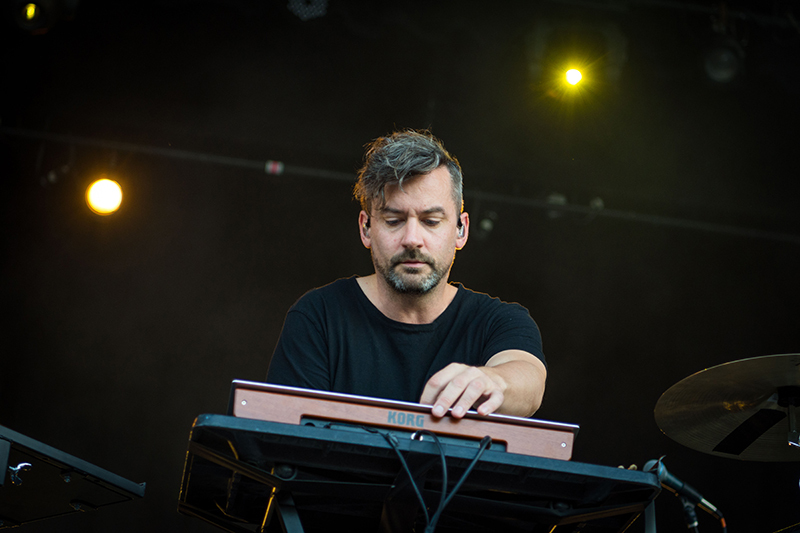 As fans awaited Bonobo, the sun began to wane on the summer solstice. 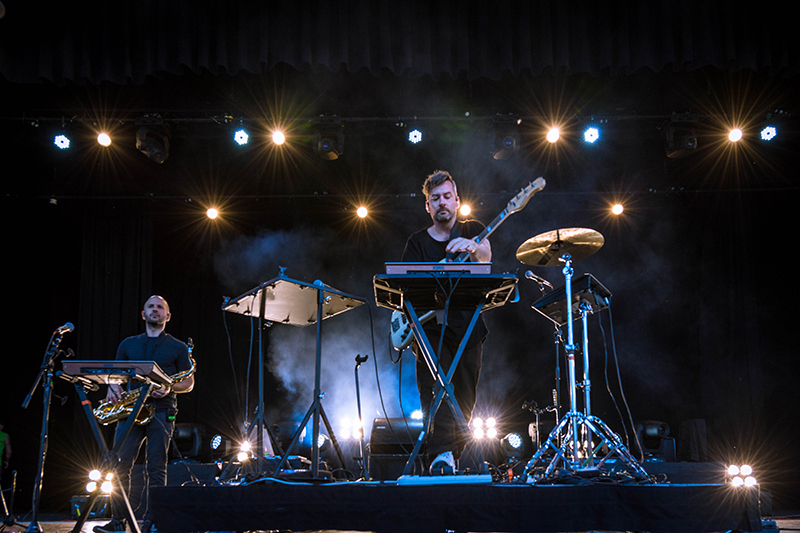 Amid flashing lights, Bonobo and his band walked onstage. The best part of the whole show was seeing how much they enjoyed playing music together. 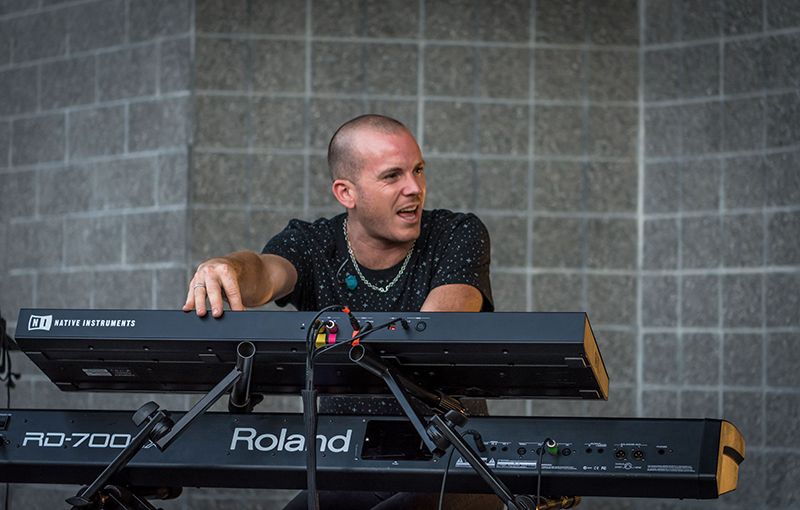 The drummer and keyboardist would frequently jam out together, visibly enjoying their expressive, expansive music. 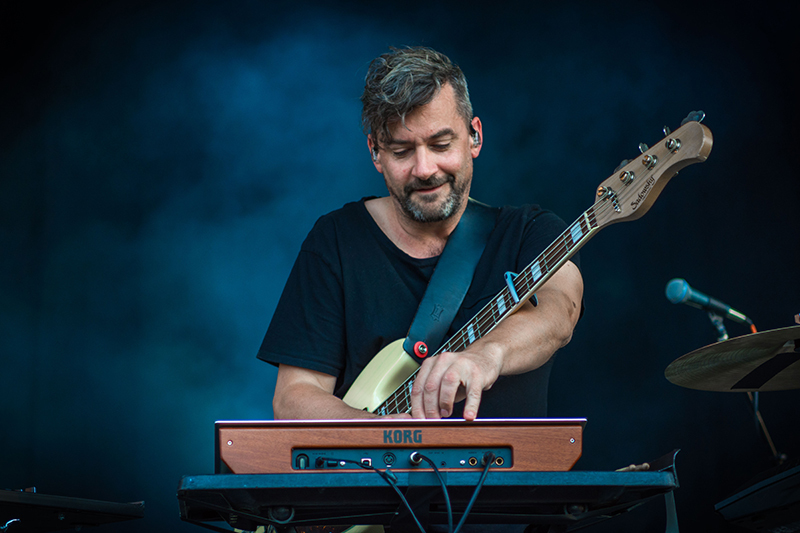 Bonobo himself switched between the soundboard and the guitar, giving his fans an amazing, diverse set. As the sun set, the stage lights glowed brighter and twinkled in starry bursts. 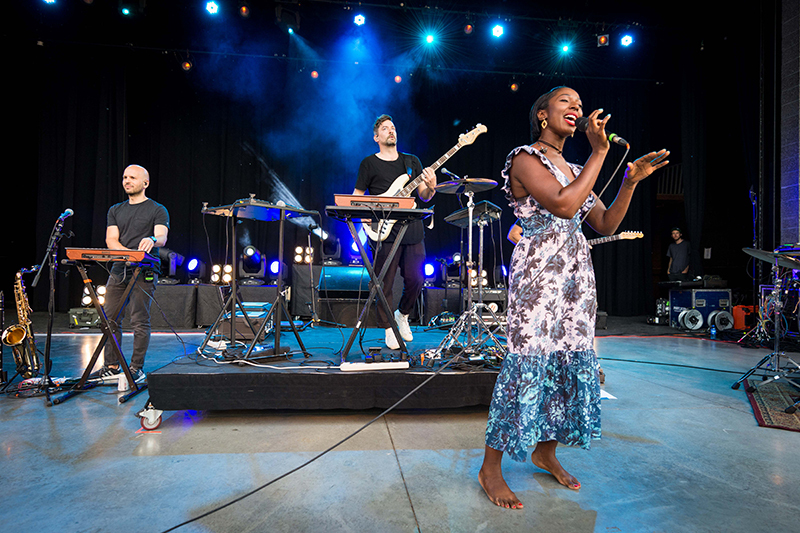 Bonobo brought out vocalist Szjerdene, who added her lilting voice to the group’s music. 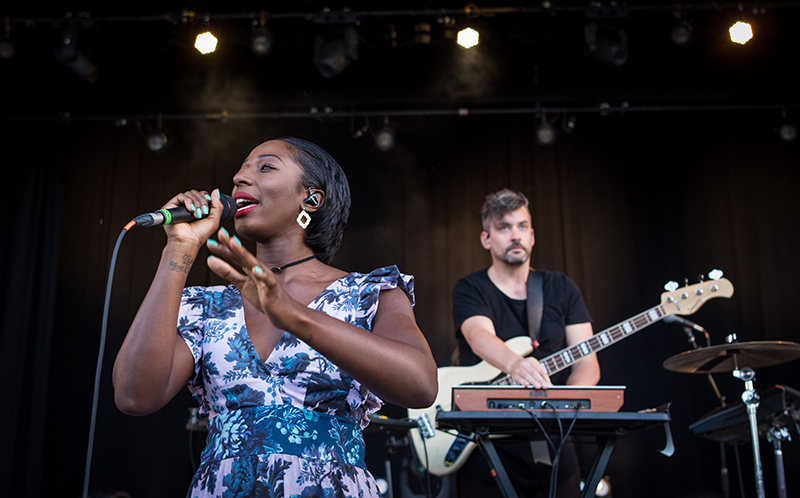 Szjerdene made an appearance at Bonobo’s last show in Utah, and her contribution was once again the perfect addition to the set. After Bonobo’s final song, the crowd dispersed into every direction. Nearby bar Yes! was hosting an afterparty show featuring local group Talia Keys and the Love. The band rocked the crowded bar as fans danced and sang along. The nightlife and entertainment was a great experience, and Ogden is a great town to enjoy it in. Slow Magic gazes down at his drums. Slow Magic jumps down from the stage and walks through the excited crowd. Slow Magic engages the crowd. 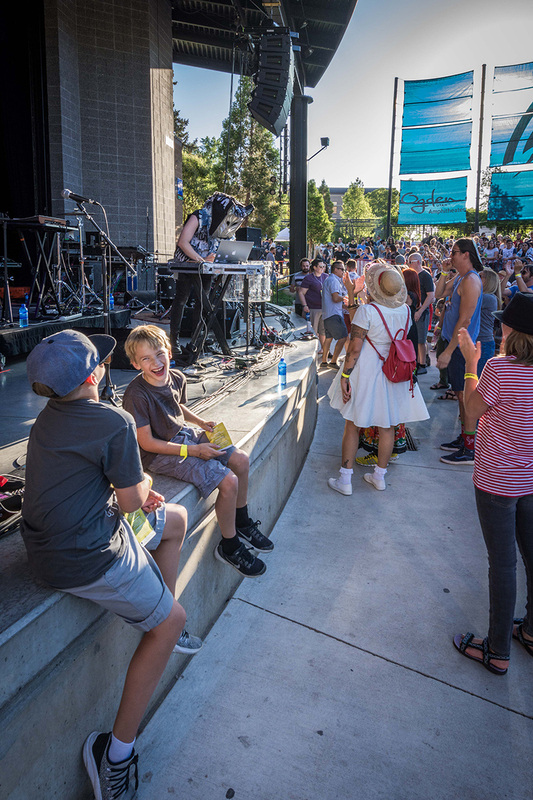 Nothing but summer sun and smiles during Slow Magic’s set. 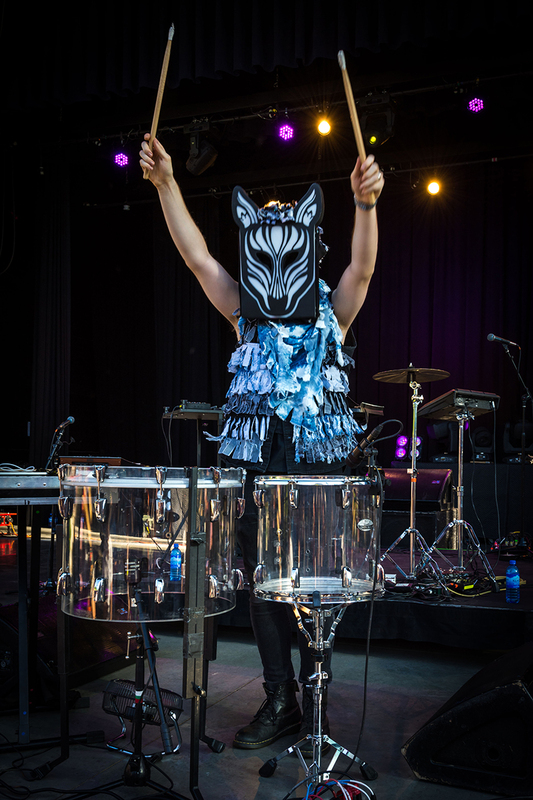 Slow Magic showing off his drumming skills. 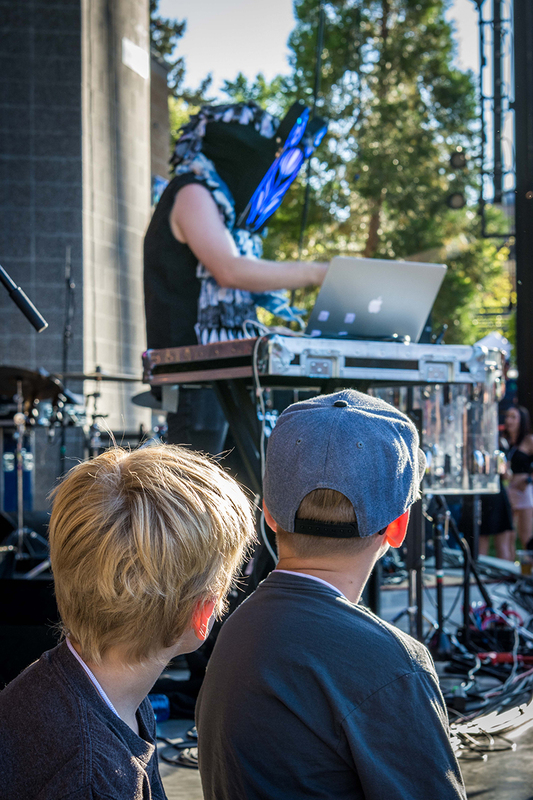 Young fans mesmerized by Slow Magic’s hypnotic drumming. 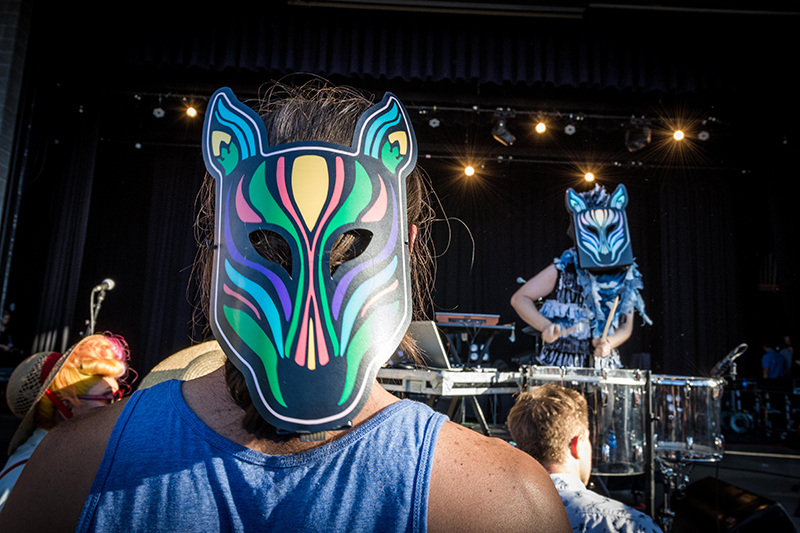 Fans dance along with Slow Magic’s opening set. 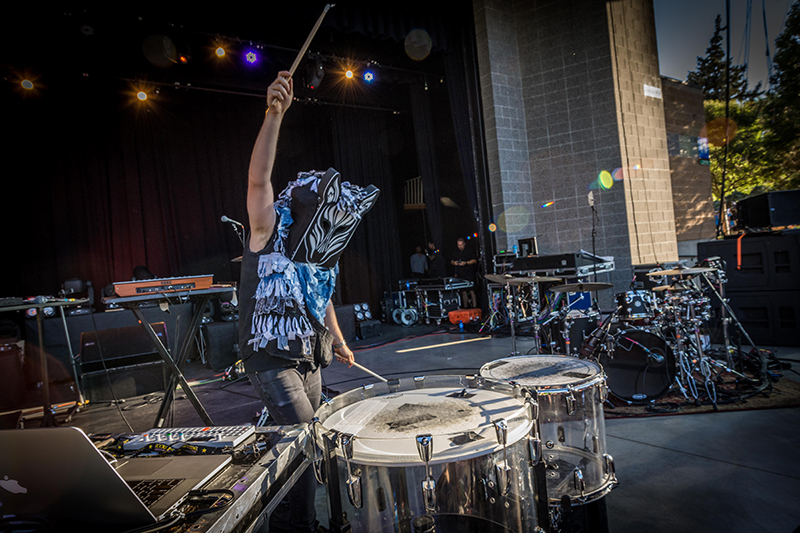 Slow Magic emphatically beats his drums. Good friends enjoy the afternoon sun. 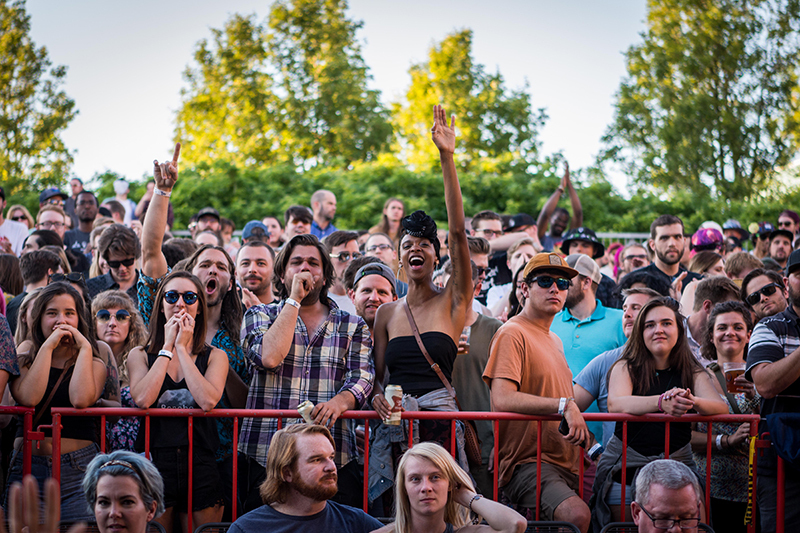 An excited crowd welcomes Bonobo to the stage. 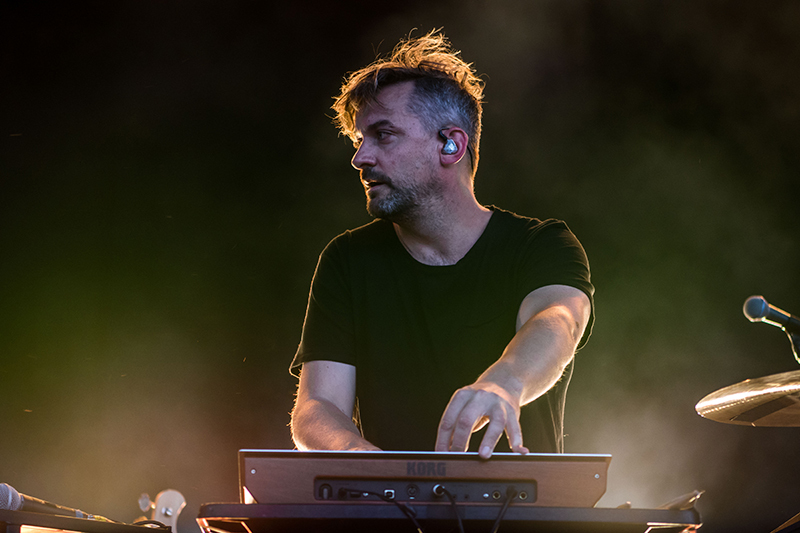 Bonobo spins the opening moments of his set. 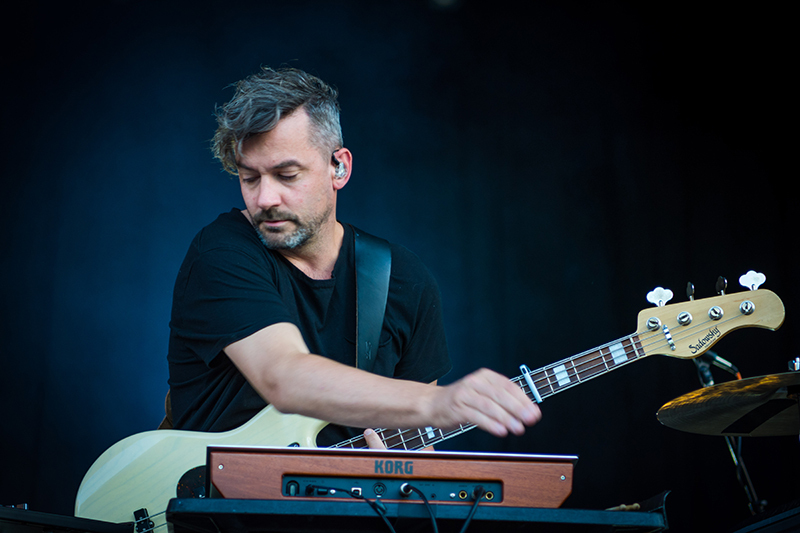 Bonobo mixes analog and electronic instruments at Ogden Twilight. 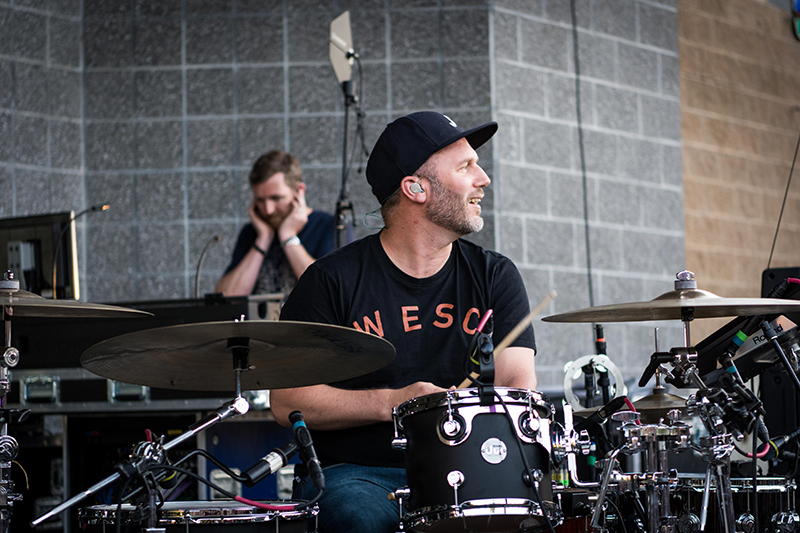 Bonobo’s drummer grooving along with the beat. 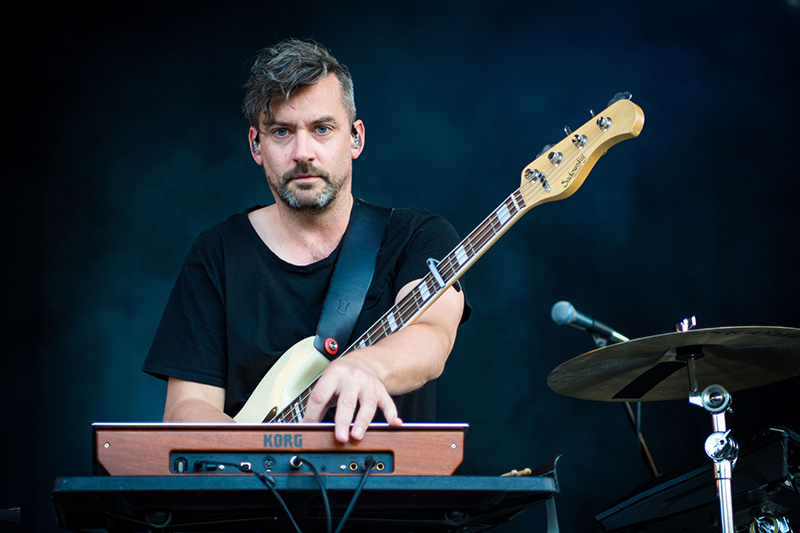 Bonobo gazes intensely at the crowd. A smile for the beautiful music. Vocalist Szjerdene joins the stage. 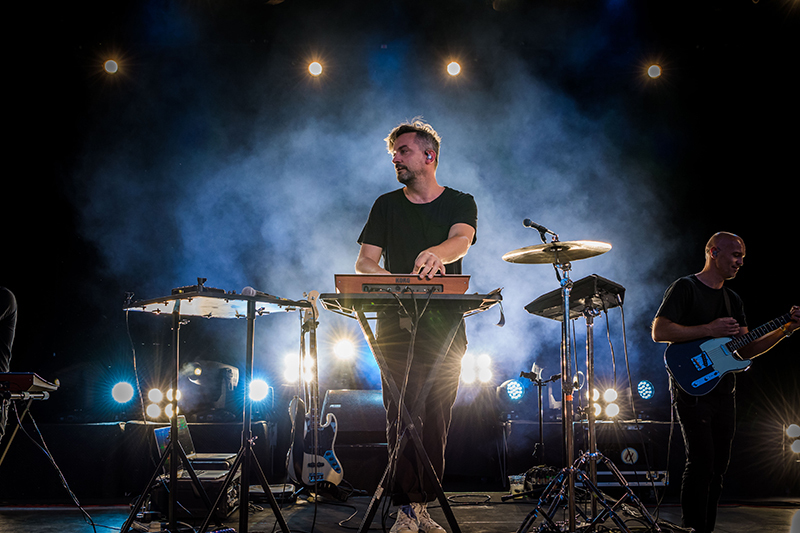 Bonobo performs among the shimmering lights. 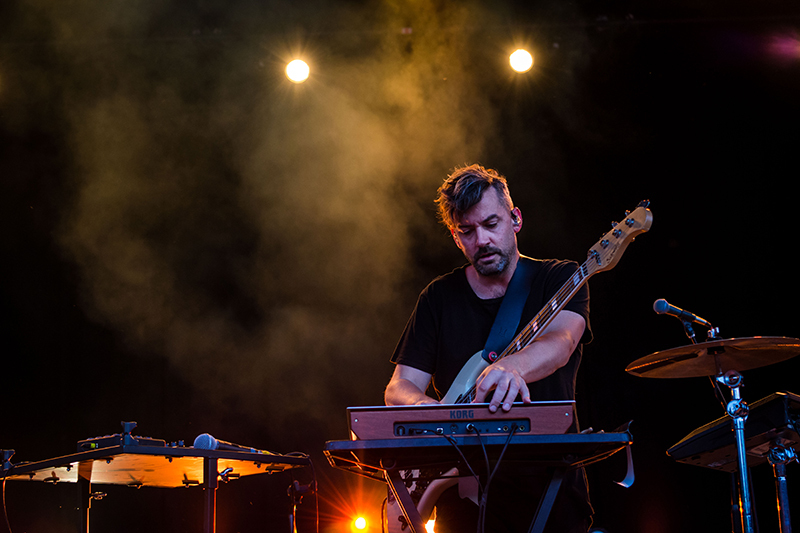 Szjerdene and Bonobo performing at the third Twilight show of the season. 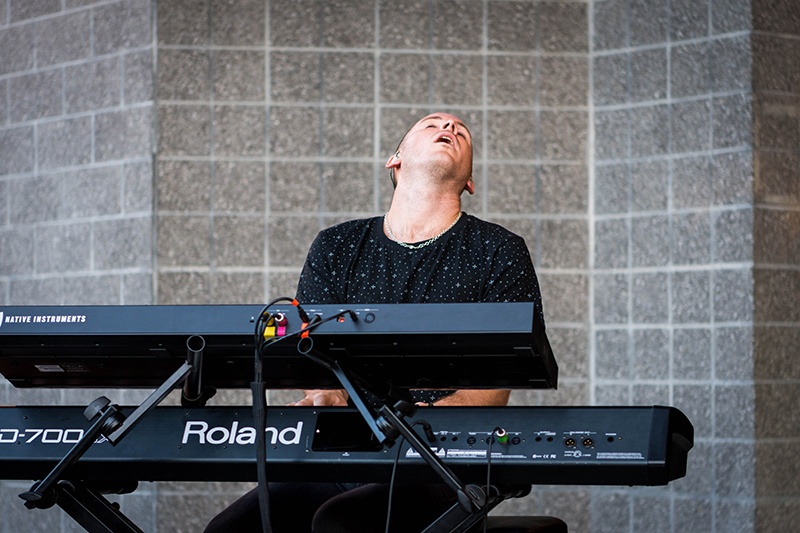 Keyboardist jams with the other band members. Warm light bathes Bonobo in the setting sun. Bonobo leads the crowd into the summer night.